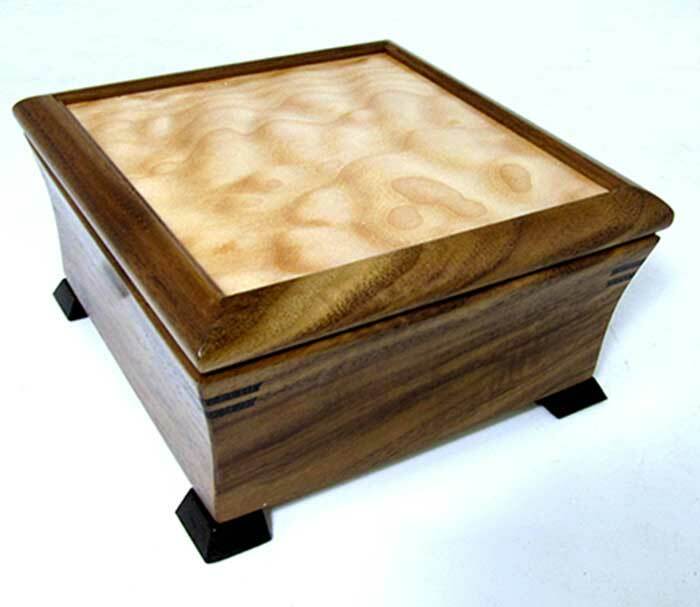 Handmade valet or jewelry box by Mikutowski Woodworking in birdseye maple (shown) with wenge accents and inlay design on top. (Inlay design may vary based on artist's choice.) The interior includes ring rolls for rings, cuff-links, and earrings as well as removable dividers for separating watches, wallets and money clips. 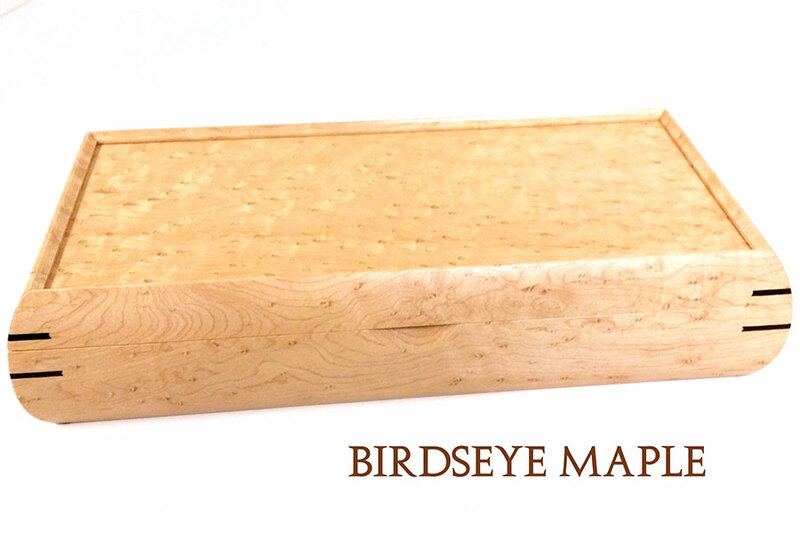 Also available in bubinga, cherry, purpleheart, Bolivian rosewood and walnut. Size: 13" x 6.5" x 2.75"